It’s a rare business owner who—at some point—doesn’t feel stuck. Either you begin to experience burnout, or you aren’t reaching your goals and can’t seem to get past the income plateau you’ve found yourself on. It’s a normal part of being in business, but staying there isn’t. Successful small business owners figure out how to overcome the hurdles and overwhelm and continue to grow their business. And the first step is to determine what exactly is holding you back. When you don’t really know what it is you want from your business, you’re experiencing a lack of clarity. Maybe you aren’t clear on who you’re meant to serve, or can’t quite envision your product funnel. Or maybe you can’t even picture your epic training course in its entirety. These are all symptoms of a lack of clarity, and they can stop a promising business in its tracks. If you’re suffering from a lack of clarity, take a step back and do some brainstorming (or brain dumping) to get everything out in the daylight where you can see it. This alone can help you get clear on what your next step is. If you’re clear on your goals but you’re having trouble moving forward consistently, then a lack of focus might be your trouble. You head to your office each morning with purpose, but by lunch it’s clear you haven’t accomplished anything you set out to do. You’re not a bad person, or even a poor business owner. But you just have trouble focusing on the next step that needs to happen to make your dreams come true. Try this: With your end goal in mind, brainstorm the next physical action you need to take to achieve it. So if your goal is to build a 4-week ecourse, then your next step might be to poll your mailing list about what they need/want from you. Bored? Lost interest in that business you once loved? This is, unfortunately, pretty common among solo-preneurs. That’s why we see so many of them jumping from business to business, never spending enough time in any one endeavor to see it through to success. Staying excited about your business starts with having a dream that keeps you going even when you’re faced with the day-to-day drudgery that every small business owner encounters. Not everything is fun when you’re running a business, but if you keep your “why” in mind, it can help you get past the dull spots. Want to know how to easily fix all these issues (and more)? It’s a simple trick that the world’s most successful entrepreneurs have been using for decades: vision boards. 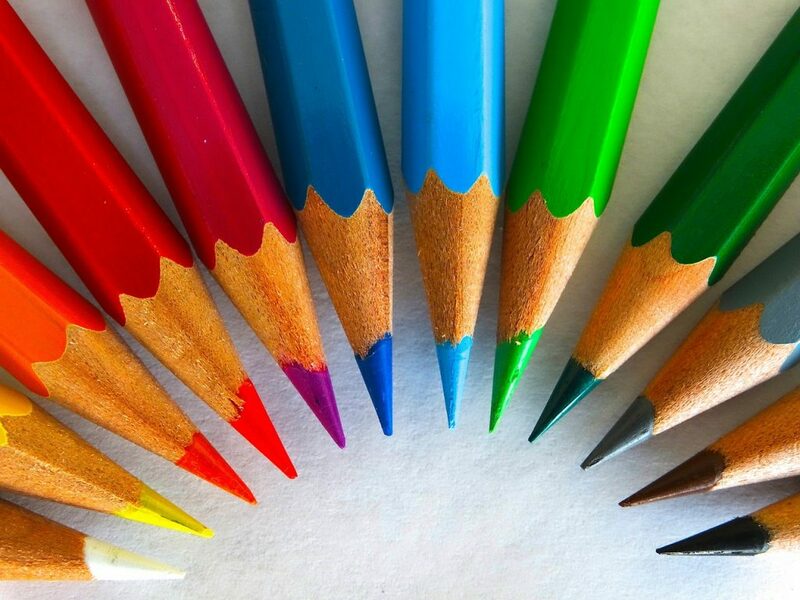 These fun and colorful tools are often just what you need to clarify your dreams, work out your next steps, and stay excited about your business. Vision boards can be as simple as a few images clipped from a magazine and pinned to a corkboard, or as complex as a framed poster with hand-lettered quotes and personal inspiration. The choice is yours. Because it’s completely personal, super fun, and best of all, it works. You can use a vision board in a variety of ways, depending on your needs. 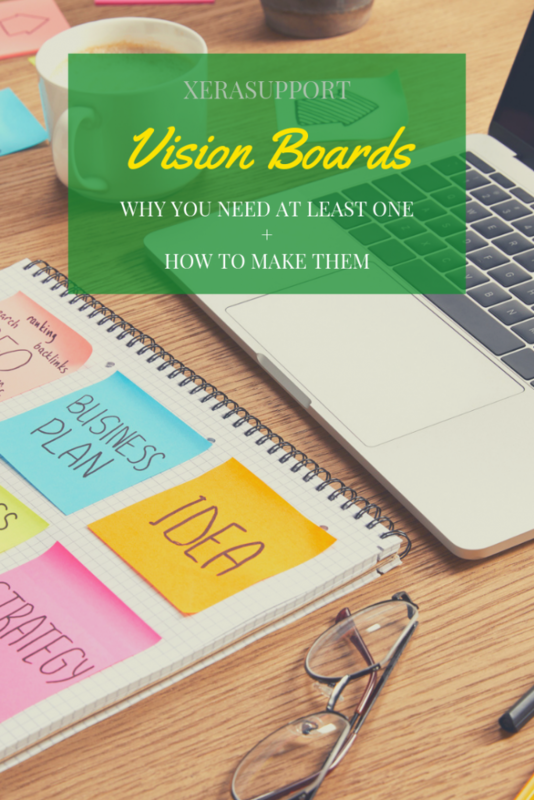 In fact, you might even want to have more than one vision board, to keep your dreams for the various areas of your life and business clear. Where do you want to be in five, ten, or twenty years? That’s not just a question from a bad job interview. In fact, it’s a critical consideration for anyone who wants to live a life of purpose and meaning. And a vision board is the perfect tool for staying on track. This vision board—like all of them—is in a constant state of change. As your life goals change and grow, so will your vision board. Maybe you no longer want to live in Paris. That’s ok. Replace the city of lights with a relaxing mountaintop retreat if that’s your thing. Even better, invite your kids and spouse to join you, and create a fun planning tool the entire family can use. By doing this, the kids will be excited about your trip, and you’ll be sure everyone gets to see and do everything they hoped for. And by planning ahead, you’ll ensure everyone has the epic vacation of their dreams. Snip photos of the style of home you love, color combos to try, landscaping ideas, and anything else that strikes your fancy. And as a result, you can keep your home-buying vision board close at hand. That will save you time in your search by reminding you exactly what you’re looking for. If there’s one thing that keeps people stuck, it’s a lack of clarity. You know you want to quit your soul sucking day job in favor of the freedom of self-employment, but you aren’t clear on the steps to take. You want to take an exotic vacation, but you aren’t sure where to go—or how to make it happen. The truth is, with ambiguous “goals” such as these, in five or ten years, you’ll still be stuck right where you’re at today. But with a little clarity, you can achieve any goal you can conceive—and even some you cannot yet dream of. And the first step is to simply visualize what you want. A vision board is a planning tool that allows you to unleash your creativity and daydream in a tangible format. So by collecting images that represent your biggest goals and keeping them within sight, you’ll be better able to focus on the next steps to take to reach them. Not only that, but vision boards can serve to keep you inspired when boredom strikes (as it inevitably will), and remind you of why you’re working so hard when all you want to do is take a nap. When you think of a business plan, you probably think of pages of text and graphs and boring stats and numbers. You know, the kind of thing you’d nervously push across the desk to a bank officer in hopes of securing a loan. I don’t know about you, but I can’t think of anything I like less than to have to piece together that kind of stiff, formal business plan. Luckily, I have better tools—and so do you! What if you could plan your business with fun, colorful photos and inspirational quotes and phrases instead? What would that do for your daily motivation? By collecting images that represent your dreams and aspirations, you’ll have a constant reminder of where it is you’re going, and even why you started your business in the first place. Maybe you want to spend more time with your kids as they’re growing up, or have enough money to finally take that vacation to Europe. What about that house in the country you’ve always dreamed of owning, or the sporty little red car that’s been calling your name. None of these things will find a place in a traditional business plan, but they’re perfect for your vision board. More importantly, they’re critical to your long-term success. Without your dreams, it’s nearly impossible to remain focused and on track when it comes to business growth, but with these reminders, it’s easy! Does all this feel pretty airy-fairy to you? You’re not alone. Lots of us were raised to believe that business had to be all about numbers and stats, and that there was no room for fun when it comes to making money. 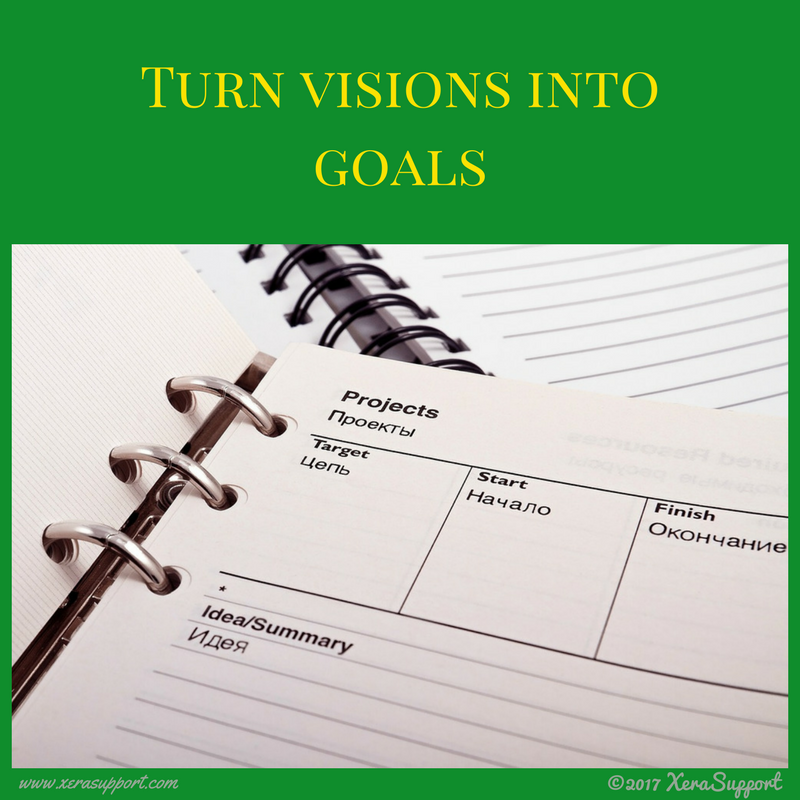 In fact, some of the most successful people in the world routinely use vision boards to help clarify their dreams and keep their goals front of mind. And that’s precisely why vision boards work so well. They allow you to easily see exactly what it is you’re working toward, whether it’s a shiny new car or a big, beautiful home, or an exotic vacation. I admit it. I’m in love with my vision board. It’s a beautiful, colorful daydream brought to life, and when I’m working on it, I get lost in my dreams and time slips away. 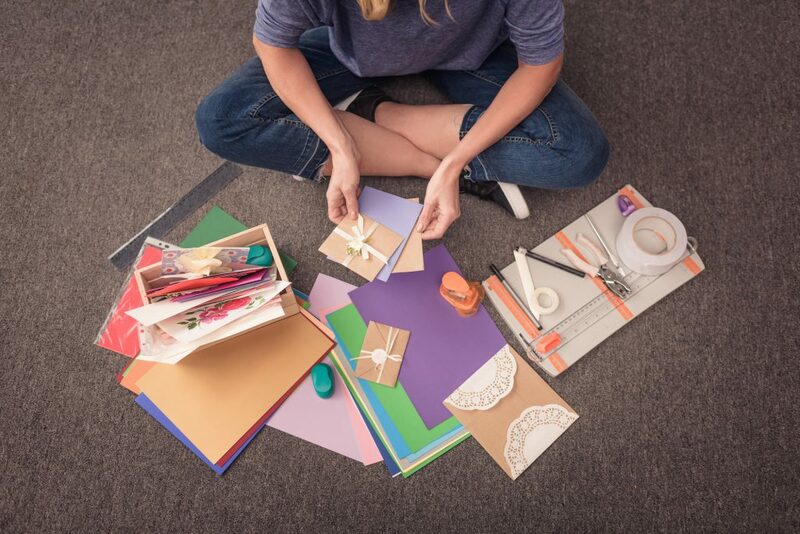 If you’ve heard of vision boards but haven’t tried your hand at creating one, what’s holding you back? For some people—especially those right-brained analytical types—find the very idea of creative goal setting to be so overwhelming they simply don’t know where to begin. For others, it’s the thought of collecting all the pieces that turns them off. But don’t make the mistake of thinking whiling away an afternoon with my vision board is unproductive. Quite the contrary, spending a couple of hours planning my future with a vision board leaves me feeling inspired and ready to take action. After all, the harder I work, the closer I am to seeing those dreams become a reality. For both, though, the answer is simple. Begin with what you have on hand. There are no “rules” when it comes to creating a vision board. Creating a vision board is easy—and fun! You can create yours with paper and other art materials, or digitally using one of many online apps, Pinterest, or even Microsoft OneNote or Evernote. While digital boards are definitely more portable, physical boards are often more inspiring. There’s just something about engaging all your senses that makes a tangible vision board more effective. 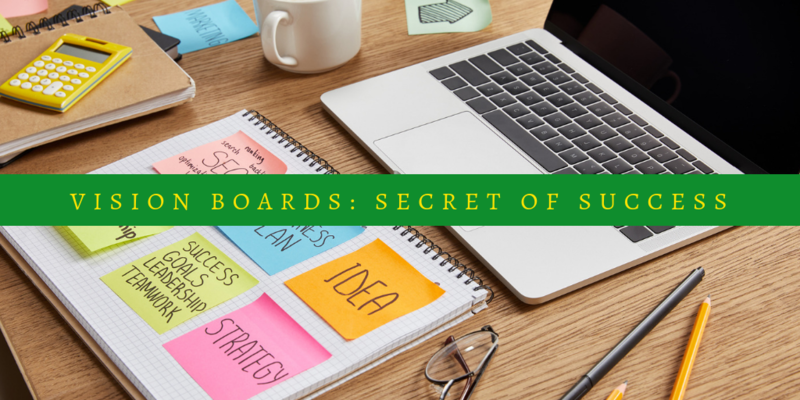 To create your board, start by collecting images that represent your biggest goals and dreams. Photos from a favorite family vacation, ads for an expensive dress you want to buy, a playbill for a Broadway show you want to see, or even a dollar figure representing your desired bank account balance are all good ways to visualize your goals. So add them to your new vision board. We all have that stack of magazines we keep meaning to toss. Now you can put them to good use building your vision board. 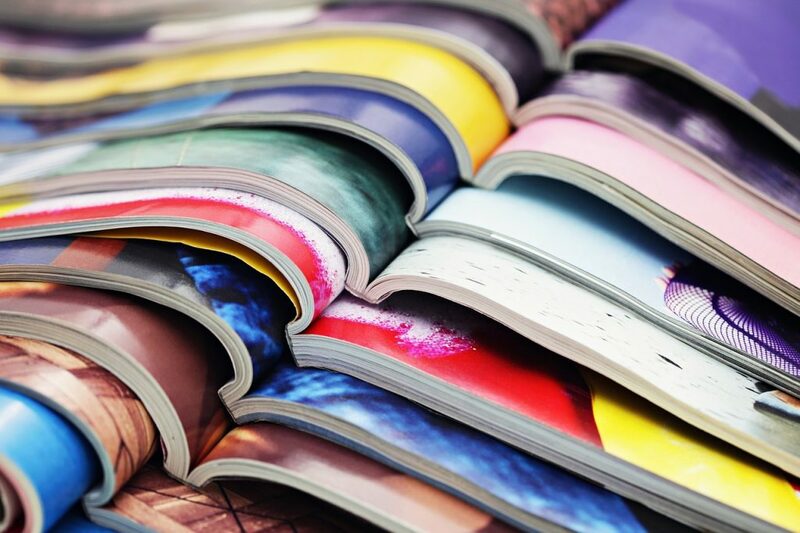 Flip through them and clip pictures that inspire you, such as vacation spots you’d like to visit, homes you’d love to live in, museums you want to explore. Don’t be picky or too selective. You don’t have to use all the images you clip, so for now, just cut out anything that captures your imagination. In fact, the images you collect don’t have to be photos at all. Inspiring words, beautiful typography, even attention-grabbing ads can all make for an inspiring vision board. Next, be sure to include phrases and quotes that inspire you and keep you going even when things get tough. Sometimes a few words of wisdom from someone you admire is all it takes to get you back on track after a rough spot. Don’t be afraid to let your creative side show with some hand lettering or doodling on your vision board. Quotes you love, special dates you want to commemorate, and even the names of people you admire can all find a home on your vision board. If you have kids, chances are you have plenty of craft supplies that will make great embellishments for your board. Stickers are more than just quirky accessories. Use them to mark the most important items on your board, the ones you want to work toward next. Ribbons keep related ideas together, and mementos such as ticket stubs or receipts can serve as reminders of the life you want to live. Remember, above all else, your vision board is your own. Design a board that inspires you and lights you up every time you look at it, and it will work its magic on your life. Finally, remember this: Your vision board is a living document. Your dreams and goals will change. Some you will achieve and remove from your board to make room for bigger and better dreams. Some you will decide don’t matter so much anymore, and you’ll trade them for some others. It’s your vision, and it’s completely up to you what dreams you choose to follow—just be sure that you do follow them.